As a former Assistant District Attorney, Framingham criminal lawyer Daniel Cappetta uses his extensive knowledge and experience to assist both adults and children facing criminal charges. Attorney Cappetta understands that if you have been charged with a crime you are experiencing a great deal of stress and anxiety. Attorney Cappetta works hard to help you understand the court's procedures, strategizing and fighting for the best possible outcome on your case. Attorney Cappetta has offices in Framingham and Natick and can meet with clients throughout Middlesex County. Far too many cases are pled out when going to trial may be a viable option. Attorney Cappetta is dedicated to working tirelessly for his clients and is not afraid to take your case to trial to achieve a not guilty verdict. During this difficult time help set your mind at ease knowing that you have a dedicated advocate in your corner fighting for you and defending your rights. Attorney Cappetta is not only dedicated to his clients, but he goes to great lengths to ensure that he is accessible as well, personally taking calls and responding to messages within 24 hours. At Cappetta Law Offices you will never be pushed off to a paralegal or secretary, all client questions are always resolved by a conversation with the attorney working on your case, and all messages are returned promptly. Attorney Cappetta has an office in Framingham and an office in Natick. Whether you are charged in Waltham, Woburn, Concord, Newton, Framingham or Natick Attorney Cappetta can represent you with his extensive knowledge and experience in Middlesex County Courts. 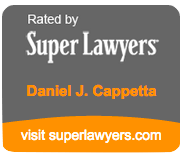 Attorney Cappetta also takes cases in Suffolk, Worcester, Norfolk and Essex County. Attorney Cappetta understands that finances may sometimes pose a challenge when trying to hire the right attorney, which is why he puts forth a great deal of effort to maintain reasonable fees. All criminal cases are taken on a flat fee basis which means you will always know the total cost of representation before you make the decision to hire him. Cappetta Law Offices accepts credit cards and even sometimes works out monthly payment plans with clients. Framingham criminal attorney Daniel Cappetta is available 24-hours a day, 7 days a week to his clients. Contact him now for a FREE in-person or phone consultation regarding your case or your child's case. If your child is facing criminal charges or is being investigated, you need an attorney that has extensive experience in the Juvenile Court System. As a former Prosecutor in the Middlesex County District Attorney's Office, Attorney Cappetta handled countless juvenile court cases and uses his knowledge and experience in the Juvenile Court System to successfully fight for your child. Don't Wait Until You Have Been Charged! If you or your child is currently under investigation for a crime, don't wait until you have been charged to contact Attorney Cappetta. Contacting an attorney before being questioned by the police may help in defending the case if you are actually charged. Contacting a lawyer during the investigation can sometimes stop charges from going forward at all. Attorney Cappetta is dedicated to delivering attentive, confident criminal defense services throughout Greater Boston and the surrounding areas at a reasonable, affordable flat-fee rate. Cappetta is personally available to new and current clients around the clock as he recognizes that criminal law issues frequently arise outside of normal business hours. Schedule a FREE in-person or over-the-phone consultation now to receive an honest assessment of your case. During your consultation, Attorney Cappetta will provide you with a comprehensive total for the cost of representation. We serve the following localities: Middlesex County, Ashland, Cambridge, Concord, Framingham, Holliston, Hopkinton, Hudson, Lexington, Marlborough, Natick, Newton, Sudbury, Waltham, Watertown, Winchester, Norfolk County, Needham, Wellesley, Worcester County, Westborough, and Worcester.